Condition: Good. Painting has had some professional restoration in the past. Frame has some minor wear consistent with age and use. 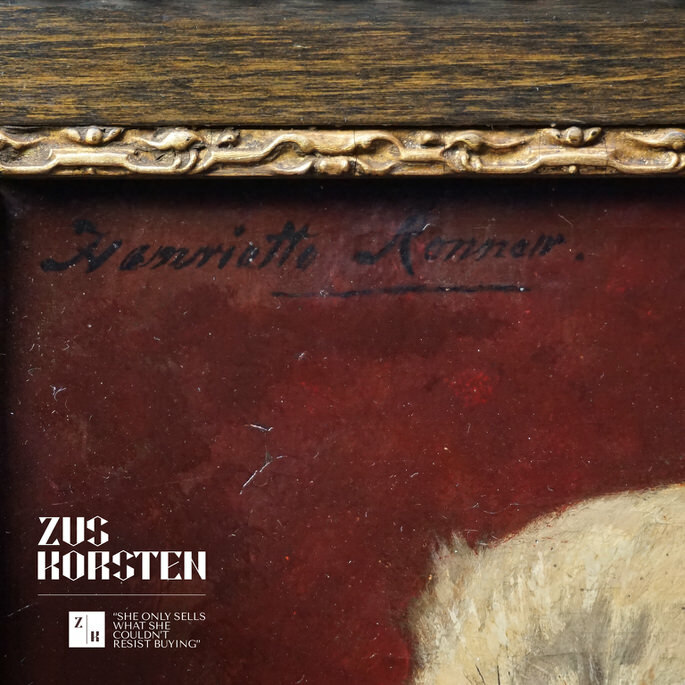 An adorable little dog by Dutch Belgium painter Henriëtte Ronner. Ronner was famous for her romantic animal studies and paintings and ended up doing only kittens. This pug dog might be one of her earlier works or a commissioned art work.